Back in December, in the heart of the festive season I was pondering the thought and purpose of it all. The festive season, the season for giving as well as receiving; like me the joy for many, is in the former. That is why when my family encouraged me to sell unwanted household items on ebay I wasn’t too sure about the whole process. Was this desire to make money out of what I considered useless junk really greed in another disguise. The bidding and selling process had an air of gambling about, and I could quickly see how people could become addicted to the thrilled as bids would raised during the last dying seconds of the auction time on items placed for sale. Having succumbed to the pressure of registering an ebay account I was constantly being asked to auction items that my husband no longer wanted in order that he could clear the garage. What I actually discovered was that as a seller you had to be creative, articulate and ruthlessly organised! All attributes that appealed to me as a trainer. So when we had a new fireplace fitted it was an unspoken decision to auction the old Adams Fireplace surround on ebay; not really believing that anybody would want somebody else’s old mantelpiece, albeit that it was in an immaculate condition. But sure enough the bids came in. It should be mentioned that I had set a really low ‘buy now’ price, despite being told that the old mantelpiece, even as a secondhand item, was worth a great deal more. I believed that it would encourage a quick sale and also I was still struggling with the greed verses practically issue. The auction closed and the buyer, a young family man and his wife, duly arrived to collect the item. I watched from my bedroom window as the buyer my husband gently position the mantelpiece into the back of the buyers car, and it was at this point that I had what we call in training circles a ‘light bulb moment’. …..I felt good about this sale. Just as I had felt good when I gave a pine table and chairs to the Debra Charity Shop a few weeks earlier and they written to me afterwards to say that it had raised £80 for their charity. Fantastic! The mantelpiece buyer and his wife were thrilled with the purchase and they shared with us that they could not afford to buy a new one. Yes the buyer, by his own admission had genuinely picked up a bargain, but I didn’t mind this at all. It was the fact that I felt socially good about the sale. My old mantelpiece which I no longer liked was bringing joy to somebody else. The joy for me was truly in the giving. Just as I give of my knowledge, experiences and real life business stories whenever I am training. Over coffee later that day I was talking with my husband comparing the feeling I had about our ebay sale with the same feeling that I get when I deliver training. Whenever I deliver training I will of course start off in the customary way, such as clearly defining the course outcomes and noting down the delegates’ objectives etc; but I also state that we may during the course of the programme refresh previously learnt techniques that may have been laid dormant, in addition obviously to learning new tips and skills. As a trainer you always know when delegates are hearing said new skills and techniques for the first time; these are trainers ‘light bulb moments’ as when delegates pick up new hints and tips their faces physically change, they become more relaxed and engaged in the session. It is truly a joy to observe and be part of. To be able to pass on your knowledge, experiences and real life business stories is indeed an honor, and one that I never take for granted and certainly one that never fails to thrill me. The lesson in this comparison is that we all often dispose of, or disregard what we no longer think we need or have a place for in that particular moment in time. We sell items on ebay or we believe that we must discover the latest management techniques because tried and test methodologies surely cannot work, when, more often than not, they do! 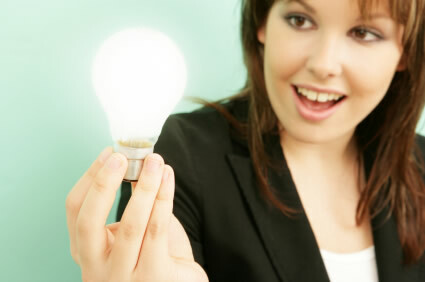 My job as a trainer is to ensure that I get as many ‘light bulb moments’ as I possibly can in any one training session. As a minimum for me it has to be at least one per delegate. I personally always ask delegates at the end of each training programme to share with me what they have personally taken away for their session. This in turn helps me to measure the success of the training and ensures that the materials and content is kept up-to-date, as well as being relevant and fresh. As I have said, as a trainer to be given the forum to be able to pass on your knowledge, experiences and real life business stories extremely gratifying and a great way of giving something back to society as well as the next generation of business managers. Whilst the joy of giving away ones unwanted processions via ebay for little financial gain is socially rewarding, nothing compares to the thrill and satisfaction one gets from delivering an insightful training session full of ‘light bulb moments’. This I concluded you cannot buy on ebay! « Are we dumbing down?